Our recent paper on interspecific social information use in wood warblers (Phylloscopus sibilatrix) is now available online! In a field experiment, we found that wood warblers use social cues from earlier-arriving migrant heterospecifics when deciding where to settle. 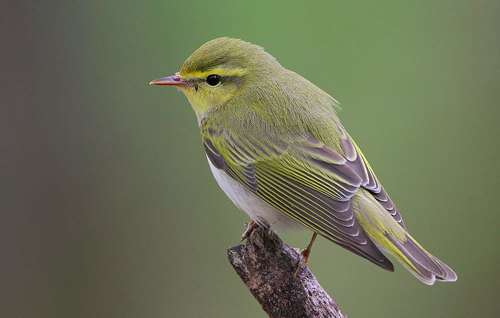 In one of earlier studies, we also showed that wood warblers use conspecific social cues for settlement decisions. Together, the results of these two experiments suggest that con- and heterospecific attraction as strategies for habitat selection may coexist within a population, which likely results because the latter strategy complements using conspecific cues in the wild. Importantly, we found that heterospecific attraction is not a phenomenon limited to resident-migrant interactions, but may involve also an information flow from early-arriving migrants to late-arriving species. This suggests that heterospecific attraction as a habitat selection strategy may operate under broader contexts than originally suggested. In a broader context, results of our studies on the use of con- and heterospecific social cues for settlement decisions in wood warblers suggest an interplay of attraction and avoidance mechanisms, depending on the type of a cue being used. This highlights the importance of both positive and negative effects of social environment on settlement behavior of individuals.